Are you looking for a new car part or used car part? Here you can find a small introduction on each car part. Remember, these parts will make your performance car a dream one! Large automotive resource site created by the Fairfax media group. Includes info on new and used cars, classifieds, articles, news and advice. Research, buy and finance new or used vehicles. The local website of Autobytel, the world's largest Internet car buying service. Has everything for the rodding enthusiast including feature articles, club list, national calendar, commentary, classifieds, letters and more. News and Reviews section of CarPoint . Here you'll find all the latest entertaining feature stories, news, car reviews and regular motorsport updates. The Australian Automobile Association (AAA) has been an official voice of motoring in Australia since 1924. AAA represents eight state based constituent motoring organisations' with a combined membership of over 6.2 million members. AAA supports and coordinates activities of our constituent motoring clubs and associations and represents the interests of these organisations, their members and, indirectly, all Australian motorists at the national and international levels. AAA is recognised by government and industry as the official voice of Australian motorists. News, reviews, editorial and discussion. Contains motor racing and industry news. V8 Supercar motor racing resource with news, statistics, features, photos and forums. 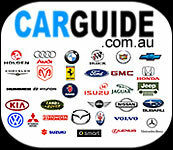 Access this guide to buying new and used cars in Australia. Get the latest news, obtain quotes or check out the dealer locator.